Eaton Convertible main loadcenter is rated at 208Y/120-Volt AC or 240-Volt AC. Interrupt current rating of this loadcenter is 10-Kilo-Amps. This 3-Phase loadcenter has aluminum bus and metallic enclosure for longer endurance. It measures 3.88-Inch x 14.31-Inch x 21-Inch. Type BR 24-Circuit loadcenter incorporating 4-Wire wiring configuration, accepts main breaker wires of size 4 - 2/0-AWG/2-AWG - 300-KCMIL and main lug wires of size 6 - 2/0-AWG. It has back feed location and supports flush/surface mounting. 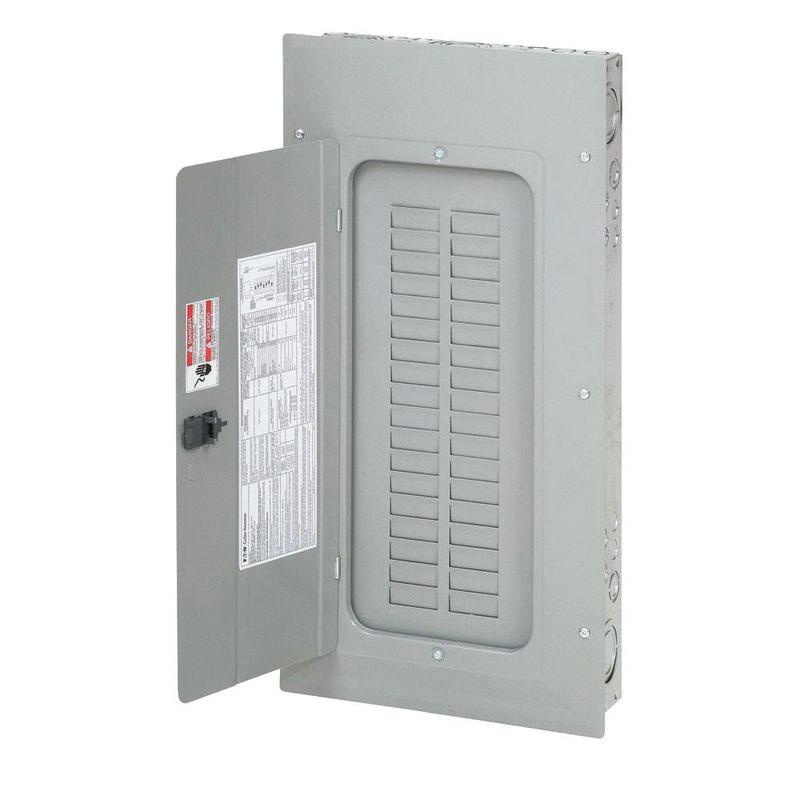 Rain-proof loadcenter featuring insulated/bondable split neutral type, withstands temperature rating of 60/75 deg C. It comes with hub closure plates and BREQS125 hold-down screw for back-feed Types-BR/BRH main circuit breaker. Loadcenter is UL listed.